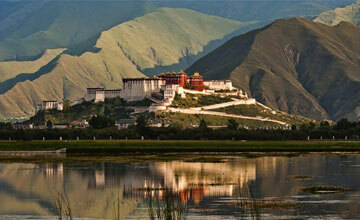 Tibet is one of the most marvelous travel destinations in the world. Tibet tour remains one of the most exciting adventure trip to the remote part of the world, situated at an average elevation of 5000m (16500ft) above sea level. Tibet (Xizang), known as the 'Roof of the World', has become a dream destination for climbers, Trekkers, adventurers, and regular tourists from all over the world. 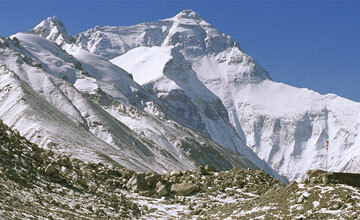 Tibet is snow covered plateau are the highest in the world. Travel in Tibet is an amazing journey in which one can see the world's highest mountains, travel on the world's highest plains, meet nomadic herdsmen , pilgrims and walk amidst the burning butter lamps & chanting monks of Tibet's ancient and legendary Buddhist monasteries. Tibet tours was opened for tourists only in 1985. Before this, it avoided influence from the western world and developed its unique culture & religion independently. Since Tibet has been open for tourist travel around in Tibet, Himalaya Journey Treks & Expedition has depth experience to operate the Tibet tour, Tibet trekking , Tibet Himalayan expedition and other adventure trips according to Tibet travelers/ trekkers desire. Tibet adventure trip is really amazing and wonderful trip in lifetime. Tour in Tibet recorded history of about 1,300 years but its original inhabitants appeared as early as in the Paleolithic Age. Traditionally, Tibetans not only inhabit in Tibet . Most commonly believed that the Tibetans can be divided into three regions with different dialects, namely U-Tsang , Kham and Amdo . U-Tsang covers most areas of Tibet now, including Lhasa , Shigatse, Shannan, Nyingchi, Ngari and part of Chamdo. Dalai Lama and Panchen Lama manage the Usang and Tsang respectively. Generally Usang has its centre at Lhasa and includes Shannan, Nyingchi, part of Chamdo and their circumjacent areas while Tsang points to the whole regions of Shigatse and has its centre at Tashilhunpo Monastery. Kham refers to the east Chamdo region of Tibet and other Tibetan Autonomous Prefectures of Garze ( Sichuan ), Deqen ( Yunnan ) and Yushu ( Qinghai ). And Amdo refers to Nakchu of Tibet and other large Tibetan areas of Qingahai , Gansu and Sichuan . The Tibetans are very unique and versatile people. Most of them believe in Tibetan Buddhism and worship and circumambulate around temples, shrines and other holy places. Based on their beliefs and knowledge, they have created brilliant arts and crafts like Thangka, murals, sculptures, Tibetan knives, Tibetan carpets, costumes, their own opera, calendar, medicine, language and other unique local cultures and customs. The Barkhor Street in Lhasa is a bazaar to sell all kinds of these handicrafts. The fancily dressed Tibetans are also extremely hospitable. Travel in Tibet is no longer just a dream. Going by road is the most common and convenient way of traveling in Tibet and Kathmandu Lhasa flight l or Chengdu to Lhasa also possible. With their center in Lhasa, the road line networks of Sichuan-Tibet Highway, Qinghai-Tibet Highway, Yunnan-Tibet Highway, Xinjiang-Tibet Highway and Sino-Nepal Highway connect all these neighbors with each other. The Qinghai-Tibet Railway has built the highest railway in the world, and the Lhasa to Gonggar Airport has opened airlines to Beijing, Chongqing, Chengdu, Xian, Xining, Guangzhou, Kunming, Shanghai, Hong Kong, Chamdo and Nepal and other domestic and international routes. There are two option reach the Tibet from Nepal :either Kathmandu Friendship high way by overland to Tibet border or kathmandu by China south air to Gonggar airport but HJT offers Tibet tour ,Tibet trekking, Tibet Himalaya expedition drive in drive out, fly in fly out according to client’s holiday schedule. 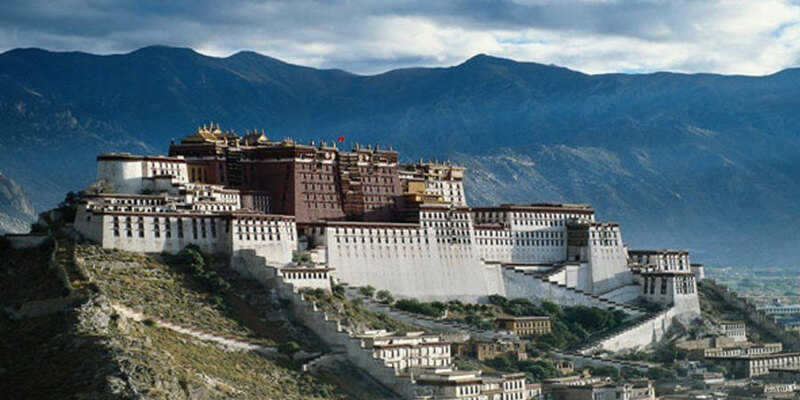 Tibet is truly and enthralling place to travel but it’s important to check out the travel information from the experience Tibet tour operator. 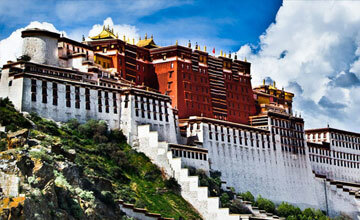 Lhasa is capital of Tibet, is showcased in its dense cultural and spiritual atmosphere. It is usually the first window through which travelers discover Tibet. The grand Potala Palace on the Red Hill, the Jokhang Temple, the three greatest monasteries of Gelugpa - Drepung, Ganden and Sera, and the Tibetan Museum are always popular tourist destinations. Shigatse, the second largest city of Tibet, features the most complete natural sceneries. As Himalaya Journey Treks & Expedition has depth experience to arrange the package Tibet adventure trip such as Lhasa excursion tour, Tibet overland tour, Lhasa overland tour, Lhasa Mansarover tour , Lhasa kailash tour, Simikot Kailash tour, Kharta valley tour, Everest base camp tour, Central Tibet tour etc,Tibet trekking tour such as Simikot kailash trekking , Lhasa Everest base camp trekking, Everest advance base camp trekking, Kharta valley trekking, Dharma lake trekking etc,Tibet Himalaya mountaineering such as Mt. 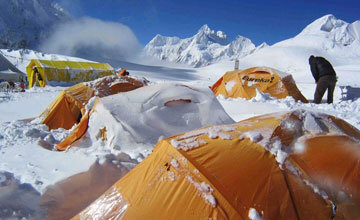 Everest expedition, Mt. Cho Oyu expedition, Mt.Shisapangma expedition, Mt.Lakpa ri Expedition, Mt.Gurlamandata expedition etc , will provides the quality service with affordable price. Himalaya journey Trekking and expedition co –operate the all kind of Tibet package adventure trip with local Tibet agents (partners ) and be concerned with our valuable customers for unforgettable Adventure trip in Tibet.